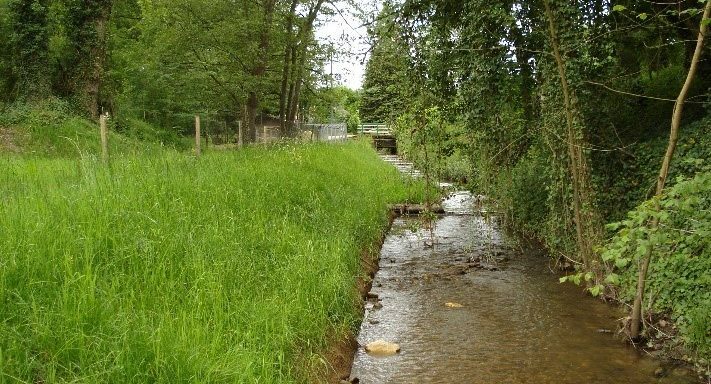 The project concerns the restoration and reinforcement of the banks of the former Bièvre river bed in the municipality of AOSTE (38). 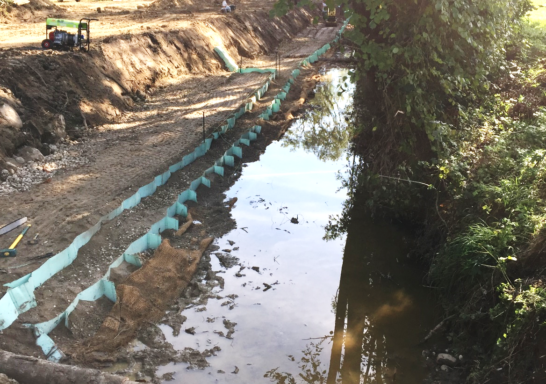 The M3S® cellular sheets were backfilled with the clayey materials of the site to reconstitute and reinforce these banks, which have suffered significant deterioration at depth. 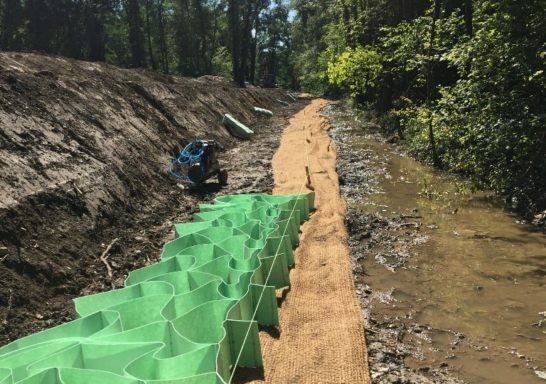 To control the compaction quality of such a material, 25cm high cellular sheets (instead of the usual 35cm) were used. The outer face of the backfill (water side) is made up of a traditional complex of fascination + vegetal soil + coconut canvas that has been vegetated.